With four brands under its umbrella the Mochachos Franchise Group has a flavour for every occasion and a franchise opportunity to suit all entrepreneurial tastes. If Mexican flame grilled chicken tickles your taste buds and peaks your entrepreneurial interest, then Mochachos Chicken Fiesta is the brand for you. If traditional Italian pastas and wood – fired pizzas are more your thing, then you may want to look a little closer at a Bacini’s franchise. 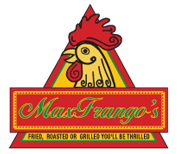 But your options don’t end there – the group also includes Max Frango’s which specializes in South African cuisine including fried chicken and Skippers, which offers traditional British – style fish and chips, including prawns, calamari, and exotic seafood. While the brands are very different, they all cater for discerning diners who enjoy good food and a healthy lifestyle. They also all benefit from a common set of operational procedures designed to ensure the highest standards of service and hygiene in each outlet. The Mochachos franchise team is very hands – on and assists with business plans and obtaining finance where necessary. Franchisees benefit from costing and financial advice and the group’s bulk buying power. Support is ongoing. Extensive training is offered with practical tuition conducted in–house and theoretical courses run at head office. The franchise team takes care of store design and layout and will apply to the authorities for all necessary licenses. The construction of the store is managed by head office sparing franchisees the hassle of dealing with contractors. Bacini’s is a member of The South African Franchise Association (FASA) and South African National Halaal Association (SANHA). The Company has drawn international interest and the group boasts successful outlets in Perth, Australia and Blantyre, Zambia,and Gabarone, Botswna, .. Future plans are to open stores in the UK, India and United Arab Emirates. Locally 30 new stores are set to open this year, mostly in Gauteng and Kwazulu Natal. Mochachos is based on “Mexican Flavoured Flame Grilled Chicken” combined with a special blend of dry herbs and spices, as well as a variety of traditional Mexican dishes such as Fajita’s, Burrito’s and Quesadillas. The chicken burgers are famous in South Africa for their taste and size. The design and décor of the outlets mirrors the rich colours of Mexico. Mochachos is a full member of FASA and is approved by SANHA. For the health conscious consumer the good news is that most of the food served at Mochachos has been approved by the Heart Foundation of South Africa. Our Skippers Brand tantalizes the taste buds of seafood lovers. It specializes in fish & chips prepared the traditional British way, together with “news print” packaging, mushy peas and mash. Additional select dishes include prawns, calamari and seafood curries. Healthier options include grilled Kingklip, Hake fillets, fresh line fish and Snoek. A large variety of fresh salads are also served. The Skippers Brand is wholly owned by the Mochachos Franchise Group. The head office operations team takes pride in its hands on interface with the franchisee from the inception of the store to guarantee that the store reaches its maximum operational potential. Franchisees benefit from a distinctive set of operational procedures designed to optimize the food quality, service levels and hygiene. The Skippers Brand is SANHA approved. Choice Chicken that is either grilled,fried or roasted on a rotisserie and a variety of dishes spiced especially for the South African taste. Upmarket Italian Coffee shop\bakery, serving light meals, exotic coffees and ice creams including pastas and village style pizzas prepared in a wood burning oven using flavour enhancing blue gum wood. A unique feature of Bacini’s is that all coldrinks and coffees are bottomless.